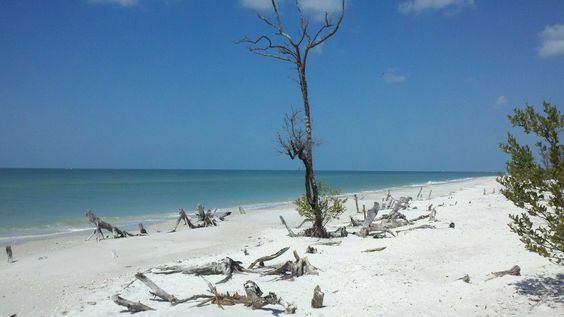 One of my all time favourite paddling destinations is Keewaydin Island, an 8 mile long barrier island that extends south from Gordon Pass, where Naples Bay empties in to the Gulf of Mexico, to just North of Marco Island. There are mangrove islands throughout the intracoastal waterway between Naples Bay and Marco Island. My primary means of conveyance on the water is by kayak, and it is about an hour’s worth of paddling, as I recall. You’ll want to check the tide charts if you want to make things as easy as possible. The tides are generally most noticeable at the narrower parts of the channel, so what I’m saying is, if you are going to access by paddle craft, be prepared to really paddle. It can be a lazy, windless day, or if the winds pick up, combined with the tide, you might be in for a bit of exercise. Late afternoon storms are a factor to be aware of, especially in late summer. The clouds will start building up before they are visible on your weather radar app, so keep an eye on your surroundings, and don’t let reliance on technology rule out over common sense. There are a number of access points to launch a paddle craft, as well as a number of places where you can cross from the estuary side of the island to the beach on the Gulf of Mexico. I generally plan my trips so the tide is in my favour as much as possible; and with the portages to the Gulf available, sometimes can have the tide in my favour both on my way out to the island, as well as on my way back. Bear in mind, that paddling on the Gulf is not for lightweights, and can get dangerous. Always wear a PFD if you are going to attempt this leg of trip. At Gordon Pass, particularly, there are a combination of forces, between the wind, tide, and wakes from boat traffic, (which can be quite busy). I have towed a swimmer who got swept away by the tide back to shore before, so again, don’t underestimate the forces at work here. Paddling is a popular sport in Southwest Florida. I’d love to hear where you enjoy paddling your watercraft.